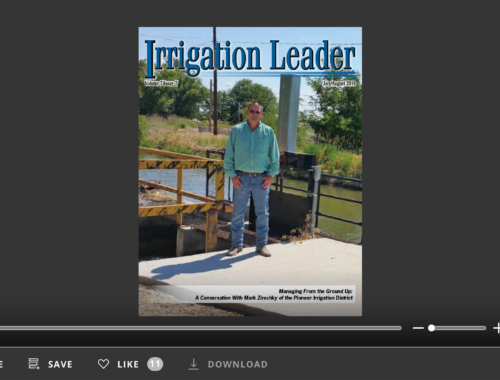 Everyone reading this magazine knows irrigation-district managers and irrigated-crop farmers with decades of experience and hard-won knowledge. It is precisely this kind of broad, deep expertise that we want to instill in the irrigation leaders of tomorrow. But in an era when technology is advancing at a rapid pace and the economy is ever more integrated on a national and global level, there is much to learn. 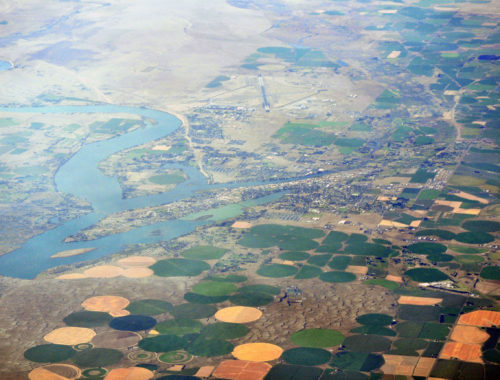 Young irrigation professionals today need to understand policymaking on the local, state, and national level; international trade and markets; and the newest computer technologies. All this explains why irrigation leadership and training programs are becoming more and more important. In this issue of Irrigation Leader, we profile training programs that are each doing their part to maintain standards of excellence in the U.S. irrigation industry. Our cover story features Sheryl McGrath of Washington State’s AgForestry Leadership Program, a professional-development fellowship oriented toward natural resources professionals. We also speak with leaders of the Nebraska Water Leaders Academy, which is training water policy leaders for the state through small-scale seminar programs, and Arizona’s Water Management Certificate Program, a management-focused, practitioner-led program whose student body mixes established professionals and graduate students. 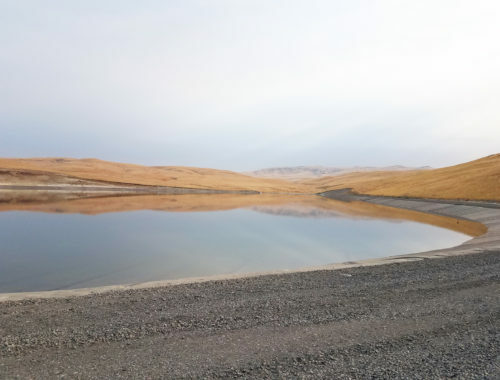 Dr. Stuart Styles of Cal Poly San Luis Obispo tells us about his university’s Irrigation Training and Research Center, which also teaches both college students and established professionals. While many institutions of higher learning are closing their ag engineering programs or folding them into other disciplines, Cal Poly’s has grown threefold in the last 10 years. We take a look at the U.S. Environmental Protection Agency’s WaterSense partnership program. The WaterSense label certifies that products and training programs meet the highest requirements of professional excellence. The Nebraska LEAD program is a 2-year agricultural leadership-development program whose seminars span Nebraska, several cities across the United States, and the world. Finally, we speak with Charles Swanson of Texas A&M’s School of Irrigation, which teaches courses on new technologies like computer-aided calculation tools and renewable energy. Across our country, institutions of higher learning, associations, and committed professionals are helping to raise up the next generation of irrigation leaders. 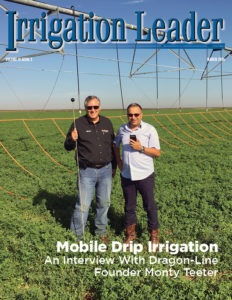 I hope this new issue of Irrigation Leader magazine gives you insight into how this is occurring and a glimpse into the future of our industry.